Latest Dance Leggings in a variety of styles for women and children. Bailar Womens Dance Leggings: hug every contour of your body, showing the flow and elegance of your legs. They go from the hips down to the ankle, and feature a snug comfortable fit. Similar to tights but they are made with high quality fabric, insuring they will last time after time. 14 colors to choose from. BalTogs Womens Team Basic SilkTech Dance Leggings BT5207: The Teamwear Collection by Baltogs features SilkTech fabrication that has an ultra-soft feel, compression for added support, provides coverage, and offers classic silhouettes so you can build a versatile dance team wardrobe that is designed to last.A great on-the-go piece, these classic leggings feature a full-length and come in a variety of eye-catching colors. BalTogs Womens Plus Size Team Basic SilkTech Dance Leggings BT5207P: The Teamwear Collection by Baltogs features SilkTech fabrication that has an ultra-soft feel, compression for added support, provides coverage, and offers classic silhouettes so you can build a versatile dance team wardrobe that is designed to last.A great on-the-go piece, these classic leggings feature a full-length and come in a variety of eye-catching colors. BalTogs Womens Team Basic SilkTech High Waist Dance Leggings BT5208: The Teamwear Collection by Baltogs features SilkTech fabrication that has an ultra-soft feel, compression for added support, provides coverage, and offers classic silhouettes so you can build a versatile dance team wardrobe that is designed to last.These flattering leggings feature a high-waist and a full-length. BalTogs Womens Plus Size Team Basic SilkTech High Waist Dance Leggings BT5208P: The Teamwear Collection by Baltogs features SilkTech fabrication that has an ultra-soft feel, compression for added support, provides coverage, and offers classic silhouettes so you can build a versatile dance team wardrobe that is designed to last.These flattering leggings feature a high-waist and a full-length. BalTogs Mens Two-Tone Stripe Dance Leggings BT5307: Creating even longer leg lines, these classic leggings feature an elastic waistband, a contrast side stripe, and a full length. Wear them to class, auditions, or even your next workout! BalTogs Boys Two-Tone Stripe Dance Leggings BT5307C: Creating even longer leg lines, these classic leggings feature an elastic waistband, a contrast side stripe, and a full length. Wear them to class, auditions, or even your next workout! Bloch Girls Dance Mesh Insert Stirrup Leggings BM214P: Leggings you can't live without! Stirrup leggings feature a stretchy waistband, a full length, and sheer mesh leg inserts. Bloch Girls Pilar High Waist Stirrup Leggings FP5032C: Float like a dancer, sting like a champion in Bloch's fitness crossover collection. The Pilar-inch leggings feature a high waist, contoured body seaming, and stirrup foot straps. Mix-and-match with the whole collection for a knock-out workout or rehearsal outfit! Capezio Womens High Waist Stirrup Dance Leggings TB205W: From ballet class to jazz practice, these leggings are the perfect staple. These full-length leggings feature a high rise waistband, and a stirrup hem to keep legs in place. Dance Department Adult Side Stripe Leggings D3003: Add some sporty flair to your rehearsal or performance ensemble in these cool two-tone contrasting side stripe leggings! Pair with a bra top or oversized top, and you're sure to stand out! Dance Department Girls Side Stripe Leggings D3003C: Add some sporty flair to your rehearsal or performance ensemble in these cool two-toned contrasting side stripe leggings! Pair with a bra top or oversized top, and you're sure to stand out! Double Platinum Womens Mesh Inset Dance Leggings N7219: Designed with eye-catching details, these dance leggings feature a comfortable waistband, front mesh insert, side mesh panels, and a back mesh insert. Double Platinum Adult Matte Metallic Insert Ankle Leggings N7277: Double Platinum's new Matte Metallic Collection features modern silhouettes that are guaranteed to steal the spotlight! These edgy leggings feature a 2-inch waistband and matte metallic pleather-inch side inserts. Great for pairing with a flashy top for performances! Double Platinum Adult Sequin Leggings N7313: Add some pizzazz to your routine with these bold sequin leggings! Features include a sequin body with metallic side stripes and waistband and full lining. Pair with the matching mock neck crop top for a show-stopping ensemble! Double Platinum Girls Sequin Leggings N7313C: Add some pizzazz to your routine with these bold sequin leggings! Features include a sequin body with metallic side stripes and waistband and full lining. Pair with the matching mock neck crop top for a show-stopping ensemble! Double Platinum Adult Metallic Side Stripe Leggings N7350: These gorgeous stretch ankle leggings feature a sporty matte metallic waistband and shimmery side stripes. Pair with the matching matte metallic insert bra for a stylish outfit you can show off during your next team performance! A comfortable Nylon/Spandex blend also makes these leggings perfect for dance class or even the gym. Double Platinum Child Metallic Side Stripe Leggings N7350C: These gorgeous stretch ankle leggings feature a sporty matte metallic waistband and shimmery side stripes. Pair with the matching matte metallic insert bra for a stylish outfit you can show off during your next team performance! A comfortable Nylon/Spandex blend also makes these leggings perfect for dance class or even the gym. Double Platinum Womens Matte Metallic Mesh Insert Performance Leggings N7656: Set yourself apart this performance season with the Matte Metallic Collection by Double Platinum - featuring performance-ready silhouettes in lavish hues and a cosmic matte metallic finish. Light up the stage in these vibrant leggings - featuring a matte metallic side insert, and a sheer mesh leg insert. Double Platinum Girls Matte Metallic Mesh Insert Performance Leggings N7656C: Set yourself apart this performance season with the Matte Metallic Collection by Double Platinum - featuring performance-ready silhouettes in lavish hues and a cosmic matte metallic finish. Light up the stage in these vibrant leggings - featuring a matte metallic side insert, and a sheer mesh leg insert. Double Platinum Womens Performance High Waist Satin Leggings N7690: Gleam under the stage lights with Double Platinum's luxurious satin separates. These unique mix-and-match pieces are easily customizable - simply add desired rhinestones for an even more glamorous, competition-perfect look!These eye-catching leggings feature a high rise, a full length, and stretch satin fabric. Double Platinum Girls Performance High Waist Satin Leggings N7690C: Gleam under the stage lights with Double Platinum's luxurious satin separates. These unique mix-and-match pieces are easily customizable - simply add desired rhinestones for an even more glamorous, competition-perfect look!These eye-catching leggings feature a high rise, a full length, and stretch satin fabric. Double Platinum Womens Metallic Dance Leggings N7730: Own the stage in the Double Platinum line of bold, shimmery metallics! This legging was made to stand out and be comfortable with its all-over shine and banded waist and leg hems. Mix-and-match using tops and bottoms from the wide collection to create a custom one-of-a-kind performance outfit! Double Platinum Girls Metallic Dance Leggings N7730C: Own the stage in the Double Platinum line of bold, shimmery metallics! This legging was made to stand out and be comfortable with its all-over shine and banded waist and leg hems. Mix-and-match using tops and bottoms from the wide collection to create a custom one-of-a-kind performance outfit! Double Platinum Womens Slashed Front Cotton Dance Leggings P345T: An update to the basic black legging, this fashion-forward pair features an elastic waistband, multiple front slits, and a stretchy, comfortable cotton fabric that moves with you. Elisse by Double Platinum Womens Floral Lace Dance Leggings N7498: Elegant lace pieces by Elisse by Double Platinum allow you to mix and match and create your own performance ready look! Features include a wide elastic waistband, floral lace overlay, and a full length. Elisse by Double Platinum Girls Floral Lace Dance Leggings N7498C: Elegant lace pieces by Elisse by Double Platinum allow you to mix and match and create your own performance ready look! Features include a wide elastic waistband, floral lace overlay, and a full length. Future Star Child Capri Leggings FS2167C: This cotton blend capri legging is sure to be a staple in your child's wardrobe on and off the stage! GK Elite Adult DryTech Capri Leggings E2259: These basic workout capri leggings feature a low rise, drytech fabric, a comfort waistband, and a contrasting GK Elite logo on the hip. Great for cheer, gymnastics, teams, or dance! GK Elite Girls DryTech Capri Leggings E2259C: These basic workout capri leggings feature a low rise, drytech fabric, a comfort waistband, and a contrasting GK Elite logo on the hip. Great for cheer, gymnastics, teams, or dance! Mix-Its Adult Capri Lightweight Leggings MPC02: These colorful lightweight capri leggings look great with any top or even with your favorite leotard! Leggings feature a ribbed low rise waistband for a flattering smooth finish. A dance essential!Size One size. Mix-Its Adult Ankle Length Lightweight Leggings MPL02: This colorful lightweight ankle legging looks great with any top or even with your favorite leotard! Legging features an inside seam and a ribbed low rise waistband for a flattering smooth finish. A dance essential! Natalie Adult High Waist Leggings N8642: Leggings get a modern, fashion forward update with a high waist that visually elongates the dancer's lines. Natalie Child High Waist Leggings N8642C: Leggings get a modern, fashion forward update with a high waist that visually elongates the dancer's lines. Natalie Adult Mesh Insert Leggings N8785: The perfect performance piece! Legging features power mesh cutouts for a trendy accent to any look! Hand wash in cold water. Hang to dry. Natalie Adult Cotton High Waist Leggings N8809: Basic cotton leggings feature a high waistband that can be worn up or rolled down. Pair with a bra top for class or use them to add a pop of color to a performance outfit! Natalie Girls Cotton High Waist Leggings N8809C: Basic cotton leggings feature a high waistband that can be worn up or rolled down. Pair with a bra top for class or use them to add a pop of color to a performance outfit! Natalie Womens Striped Mesh Dance Leggings N9034: Look chic in these performance-ready leggings featuring an elastic waistband and sheer striped mesh side leg inserts. Natalie Womens Warm Up Leggings N9083: Merging style, comfort, and functionality - Natalie's warm-up pieces feature soft to the touch fleece and trendsetting silhouettes. Leggings feature an elastic waistband, and a full-length silhouette. Natalie Womens Striped Knit Warm Up Roll Down Leggings N9104: These stylish warm up leggings feature a high waistband that can be rolled down, a full length, and an allover striped knit fabric. Perfect for layering over your favorite Natalie leotard! Natalie Adult Metallic Ankle Leggings NF8469: Shimmer on stage in these shiny metallic ankle leggings! Perfect for performances, costumes, or dance competitions! Features a 1-inch elastic waistband. Hand wash, hang dry. 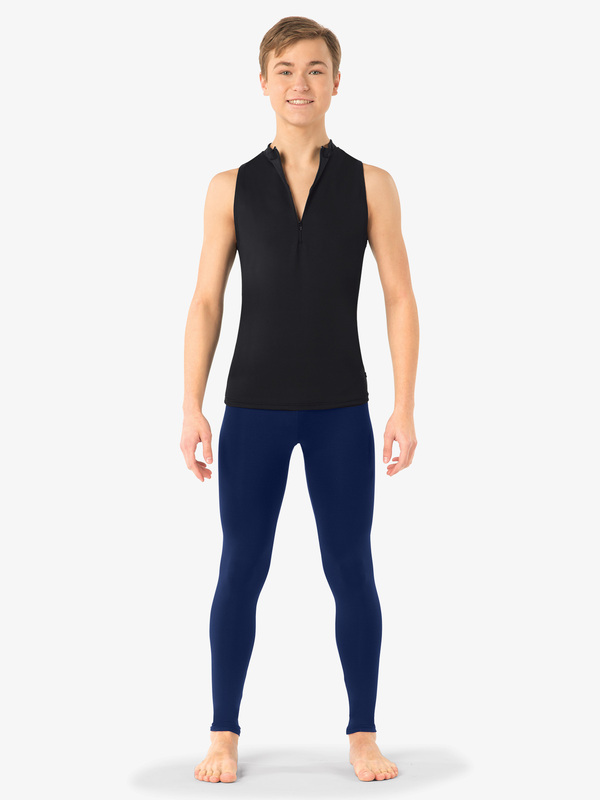 Natalie Active Adult Kimberly Mesh Insert Ankle Leggings NA126: Natalie Active is your new destination for fashionable, comfortable, and flattering dancewear that transitions seamlessly from the dance studio to the yoga studio, and beyond! The Kimberly-inch leggings feature a tight compression fit, mesh front knee panel inserts, and a sturdy, wide waistband with a hidden pocket over the hip, perfect for storing your phone, iPod, or keys! Natalie Active Womens Mesh Side Panel Workout Leggings NA130: Look incredible in these compression leggings featuring a thick waistband with a discreet inner key pocket and a side Natalie Active logo, two slim side pockets, and sheer side leg mesh inserts. 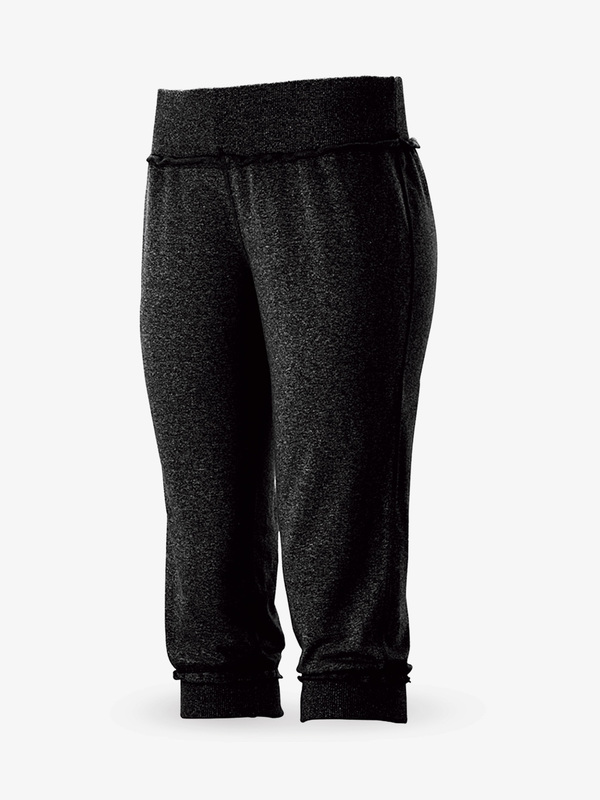 Natalie Active Womens Diamond Mesh Workout Leggings NA132: Great for running errands or a dance class, these stunning leggings feature a thick stretch waistband with a discreet inner key pocket, sheer mesh lower leg inserts with diamond-shaped seaming on the front, and a center back waistband Natalie Active logo. Natalie Active Womens Compression Workout Leggings NA134: These form-fitting leggings will be your everyday workout staple! Features include a thick waistband with a discreet inner pocket, compression fitting, front and back body contouring leg seams, and a center back waistband Natalie Active logo. Natalie Active Womens Crisscross Compression Workout Leggings NA135: Designed with a simple yet eye-catching detail, these leggings feature a thick waistband with a discreet inner key pocket, a back Natalie Active waistband logo, body contouring back leg seams, and a multi-strap lower leg detail. Natalie Active Womens Crisscross Side Workout Leggings NA141: Reaching a new level of fashionable workout gear, these leggings feature a thick waistband with a discreet inner key pocket, a side Natalie Active waistband logo, and a long side leg slits with strappy detail. Natalie Couture Womens Macrame Dance Leggings NC8838: These fashion-forward leggings feature a slightly higher waistband, a full length, and macrame leg detail. 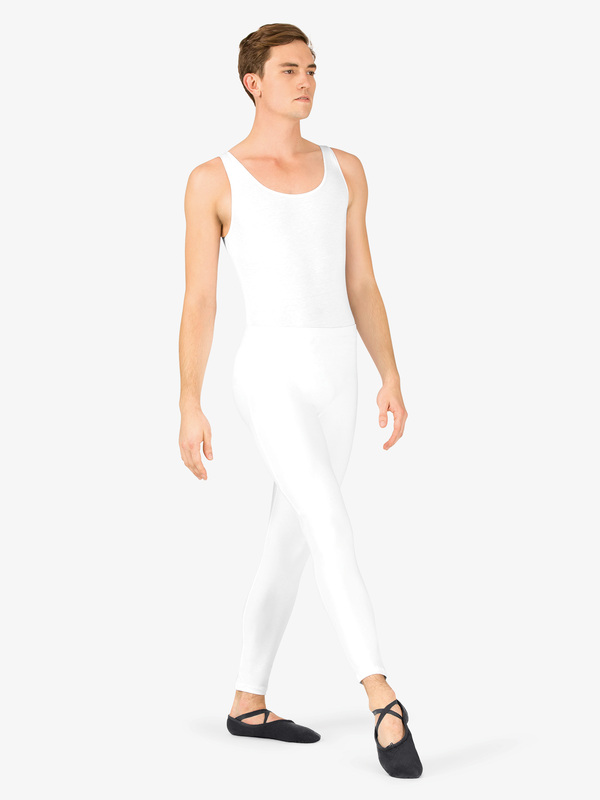 Natalie Couture Womens Mesh Binding Side Detail Dance Leggings NC8914: Natalie Couture merges timeless style and classic elegance to create high-quality pieces that will last through all your classes and performances. These eye-catching leggings feature a wide, stretchy waistband, sheer mesh side inserts, side elastic binding straps, and a full length. Perfect Balance Womens Gymnastics Patriotic Print Leggings G689: Be an American dream with this shimmering patriotic print by Perfect Balance. Stun the audience in this electric leggings - featuring a contrast waistband, and contrast side panels. Browse the entire collection for other mix-and-match pieces! Perfect Balance Girls Gymnastics Patriotic Print Leggings G689C: Be an American dream with this shimmering patriotic print by Perfect Balance. Stun the audience in this electric leggings - featuring a contrast waistband, and contrast side panels. Browse the entire collection for other mix-and-match pieces! Reverence Womens Black Ice Performance Leggings RV8219P: These bold performance-ready leggings feature a wide waistband, flattering front and back vertical seaming, and multiple sheer metallic side inserts with diamond-shaped detail. Leggings do not come rhinestoned. Theatricals Adult Ankle Leggings TH5118: These ankle length leggings feature a comfortable and fade resistant nylon/spandex material and an elastic waistband. These leggings are a must-have for performance and pair perfectly with your favorite bra top for class, too! Theatricals Child Ankle Leggings TH5118C: These ankle length leggings feature a comfortable and fade resistant nylon/spandex material and an elastic waistband. These leggings are a must-have for performance and pair perfectly with your favorite bra top for class, too! Theatricals Adult Capri Leggings TH5119: These capri length leggings are a wardrobe staple! They feature a fade-resistant, comfortable nylon/spandex material and an elastic waistband. Theatricals Child Capri Leggings TH5119C: These capri length leggings are a wardrobe staple! They feature a fade-resistant, comfortable nylon/spandex material and an elastic waistband. Theatricals Adult Ankle Leggings TH5520: These ankle length leggings are a wardrobe staple! They feature a comfortable cotton/spandex material and an elastic waistband. Theatricals Child Ankle Leggings TH5520C: These ankle length leggings are a wardrobe staple! They feature a comfortable cotton/spandex material and an elastic waistband. Theatricals Adult Capri Leggings TH5521: These capri length leggings feature a comfortable cotton/spandex material and an elastic waistband. Pairs perfectly with a bra top or comfy top. Theatricals Child Capri Leggings TH5521C: These capri length leggings feature a comfortable cotton/spandex material and an elastic waistband. Pairs perfectly with a bra top or comfy top. Watercolour Adult Painted Leggings WC220: Steal the spotlight in these unique hand-painted leggings by Watercolour Dancewear! Due to the hand painting process, the design on each product will vary. Paint used is water-based and is safe and gentle on skin.Due to possible dye transfer this garment should be hand washed separately in cold water by hand. Lay flat to dry. Balera Mid Rise Denim Moto Jeggings: Stretch cotton jeggings in a mid-rise fit feature moto-inspired details. The paneled front silhouette is accented with pintucked stitching on the thighs. With a zip fly closure at the waist, belt loops and functional back pockets. Imported.Fabric : Cotton/Polyester/Spandex. Balera Mid Rise Bold Color Jeggings: Stretch-cotton jeggings in a mid-rise fit offer the classic features you expect from a pair of denim jeans, including a zip fly and belt loops, while also providing plenty of stretch to allow for full range of motion. With faux front pockets and functional back pockets. Imported.Fabric : Cotton/Spandex. Balera Faux Leather Moto Leggings: Ankle-length leggings with pintuck details at hips and knees and a comfortable, 1 inch elastic waistband. Imported.Fabric : Polyester/Spandex. Balera Slashed Jeggings With Laces: These mid-rise stretch denim jeggings feature slashes at the knees with corset-style laces above and below knee. With faux front pockets and functional back pockets. Zip fly with button closure on the waistband. Imported.Fabric : Polyester/Cotton/Spandex. Balera Full Length Tuxedo Pants: Full-length tuxedo pants made from stretchy bengaline fabric with a stretch satin stripe down each leg. The low-rise waist has a front tab closure with a zipper, button and hook-and-eye closure. The legs have small slits at the bottom hem. Imported.Fabric : Rayon/Nylon/Spandex. Balera Boys Jeggings: French terry jeggings with a zip fly and button, belt loops and faux front pockets and functional back pockets. Imported.Fabric : Cotton/Spandex. Balera Jegging With Metallic Piping: Mid-rise stretch denim jegging with zip fly and Premium Metallic piping. Imported.Fabric : Cotton/Polyester/Spandex. Balera Bold Color Jeggings: Constructed from a comfortable cotton/spandex blend that hugs the body and allows for ease of motion when dancing. These bold jeggings combine the superb stretch and tapered leglines of a legging with classic jeans features, including a zip fly, belt loops, faux front pockets and functional back pockets. Imported.Fabric : Cotton/Spandex. Balera Slashed Skinny Jeans: These stretch skinny jeggings feature distressing and rips in front for an edgy, urban look. With faux front pockets, functional back pockets and zip fly closure. Imported.Fabric : Cotton/Polyester/Spandex.For jacket, see Buffalo Plaid Jacket - AH9220. Balera Cotton Ankle-Length Leggings: High-quality opaque cotton makes these classic ankle-length cotton leggings soft and comfortable for extended wear. A 1 inch elastic waistband helps ensure a secure fit. Imported.Fabric : Cotton/Spandex. Balera High-Waist Cotton Leggings: Classic ankle-length cotton leggings with a flattering wide waistband that can be worn up or folded over for a trendy hip-hugging look. Imported.Fabric : Cotton/Spandex. Balera Metallic Full Length Leggings: These Premium Metallic nylon/spandex full-length performance leggings have a mid-rise and an elastic waistband for a comfortable, secure fit. Made in USA.Fabric : Premium Metallic Nylon/Spandex. Balera High Waist Metallic Leggings: These Premium Metallic nylon/spandex full-length leggings feature a figure-flattering high waistline that creates a smooth silhouette. Waistband can be folded down for versatile style options. Made in USA.Fabric : Premium Metallic Nylon/Spandex. Balera Natural Rise Metallic Leggings: Premium Metallic nylon/spandex full-length leggings in an updated fit that features a wide waistband that hits at the natural waist. Imported.Fabric : Premium Metallic Nylon/Spandex. Balera Lattice-Hem Cropped Leggings: Cropped leggings feature a wide waistband and a subtle but distinctive lattice design just above the bottom hem. Cropped length hits just above the ankles. Imported.Fabric : Matte Nylon/Spandex.New color available! Now in Mulberry. Balera Cropped Leggings: These leggings feature an updated cropped length that hits just above the ankles. Constructed of 4-way stretch matte nylon/spandex for comfort and ease of movement. With a mid-rise fit that sits just below the natural waist. Imported.Fabric : Matte Nylon/Spandex. Balera High Waist Cummerbund Leggings: Full-length leggings get a formalwear upgrade with a flattering, high waistband accented with an attached, pleated, satin cummerbund. Constructed from 4-way stretch matte nylon/spandex for comfort and ease of movement. Imported.Fabric : Matte Nylon/Spandex. Balera Slashed Front Leggings: Matte nylon/spandex, ankle-length leggings with cutouts along the front legs for a slashed look. The wide, elastic waistband hits at the natural waist. Imported.Fabric : Matte Nylon/Spandex. Balera Chevron Stripe Leggings: Ankle-length leggings with power mesh and contrast matte nylon/spandex insets. Flatlock seams along the insets are chafe-resistant. In a low-rise fit with a wide waistband. Imported.Fabric : Matte Nylon/Spandex. Balera Double Stripe Leggings: These mid-rise leggings have thin stripes down sides of legs and along the wide waistband. With anti-chafe, flatlock seams. Imported.Fabric : Matte Nylon/Spandex. Balera Bright Stripe Mesh Leggings: These mid-rise leggings have a wide waistband and feature mesh insets along the sides of the legs with color-block and mesh stripes at the ankles. With anti-chafe, flatlock seams. Imported.Fabric : Matte Nylon/Spandex. Balera Shadow Stripe Leggings: Ankle-length leggings with a fully-lined shadow stripe down the side of each leg. With a low-rise fit and a wide waistband. Imported.Fabric : Matte Nylon/Spandex. Balera Mixed Color & Print Leggings: Ankle-length leggings with alternating printed and solid matte nylon and power mesh panels. With a wide, low-rise waistband and chafe-resistant, flatlock seams. Imported.Fabric : Matte Nylon/Spandex. Balera Embossed Full Length Leggings: These full-length leggings hit below the ankle and feature geometric embossed matte nylon and perforated matte nylon along the sides. With a mid-rise waist. Imported.Fabric : Matte Nylon/Spandex. Balera Leggings With Bow Twists: Ankle-length leggings hit at the ankle bone and feature bow twists at the sides of the calves. With a mid-rise waist. Imported.Fabric : Matte Nylon/Spandex. Balera Leggings With Mesh Stirrups: These matte nylon/spandex stirrup leggings feature power mesh panels at the lower legs and stirrup. With a mid-rise waist. Imported.Fabric : Matte Nylon/Spandex. Balera Mesh Stripe Cropped Leggings: These cropped, matte nylon/spandex leggings hit above the ankles and features contoured stripes made of power mesh. With a mid-rise waist. Imported.Fabric : Matte Nylon/Spandex. Balera Contrast Stripe Leggings: Mid-rise matte nylon/spandex leggings with power mesh panels on the lower portion of the legs. Contrast stripes add a pop of color. The ankle-length leggings hit at the ankle bone. Imported.Fabric : Matte Nylon/Spandex. Balera Convertible Stirrup Leggings: Full-length leggings with convertible stirrups and a wide, mid-rise waistband. Made in USA.Fabric : Matte Nylon/Spandex. Balera Capri Leggings: For effortless transitions between the studio and the stage, these capri leggings are sure to become a wardrobe staple. Constructed of 4-way stretch matte nylon/spandex for comfort and ease of movement. Made in USA.Fabric : Matte Nylon/Spandex. Balera Full Length Leggings: These classic full-length leggings are constructed from 4-way stretch matte nylon/spandex for comfort and ease of movement and feature an elastic waistband for a secure fit. Made in USA.Fabric : Matte Nylon/Spandex.New color available! Now in Forest. Balera High-Waist Full-Length Legging: These full-length leggings feature a figure-flattering high waistband that smooths the waistline. Constructed from 4-way stretch matte nylon/spandex fabric for comfort and ease of movement. The waistband can also be folded over. Made in USA.Fabric : Matte Nylon/Spandex. Balera High Waist Capri Leggings: These comfortable high-waist capri leggings make a convenient dance wardrobe staple, perfect for practice and performance. Soft and stretchy matte nylon fabric allows for ease of movement, and the flattering wide waistband can be folded over for a trendy hip-hugging look. Imported.Fabric : Matte Nylon/Spandex.New colors available! Now in Black Cherry. Balera Sequin Waistband Leggings: With a figure-flattering high waistband constructed from Sequin Performance and slices of Premium Metallic and mesh set into the sides, these full-length leggings add impact to any performance. Fully lined. Imported.Fabric : Nylon/Spandex. Balera Mesh Inset Leggings: With power mesh side insets that extend down the legs, these bold, ankle-length leggings make an impact. Constructed of 4-way stretch matte nylon/spandex for comfort and ease of movement. Imported.Fabric : Matte Nylon/Spandex. 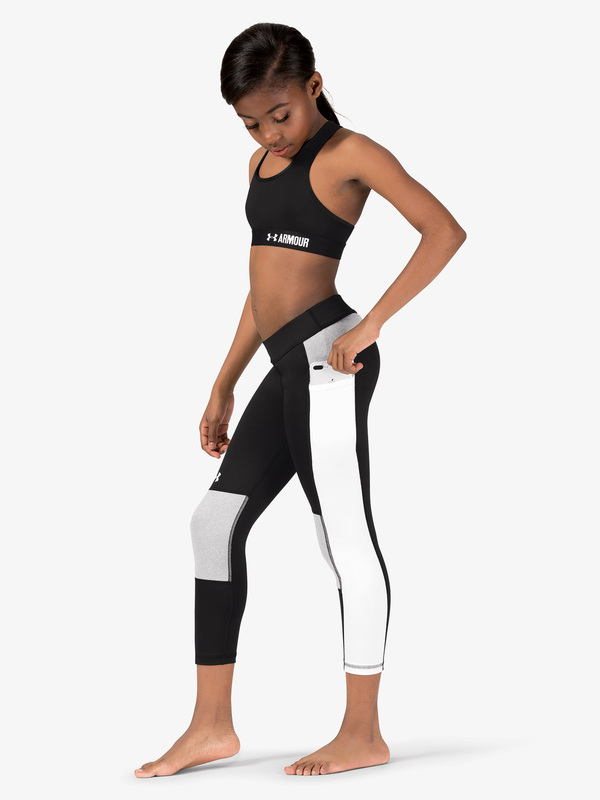 Balera Sporty Mesh Accent Leggings: These striking, ankle-length leggings feature powermesh insets and bold, angled, color-block athletic stripes. Constructed of 4-way stretch matte nylon/spandex for comfort and ease of movement. A wide waistband provides figure-flattering style. Imported.Fabric : Matte Nylon/Spandex. Balera Mesh Calf Leggings: Curved side seams and power mesh calf insets make these classic full-length leggings stand out. A natural-rise waistband provides figure-flattering comfort and style, and hidden elastic along the top edge provides a secure, no-slip fit. Constructed of 4-way stretch matte nylon/spandex for comfort and ease of movement. Imported.Fabric : Matte Nylon/Spandex.New color available! Now in Navy. Balera Optic Printed Leggings: Classic ankle-length leggings featuring a bold optic print. Plenty of stretch and a one inch elastic waistband provide comfort and ease of movement. Imported.Fabric : Polyester/Spandex. Balera Wide Waistband Sequin Leggings: These full-length, Sequin Performance leggings have a figure-flattering high waistband and unstoppable shine. Fully lined with a soft, polyester and spandex matte jersey blend. Imported.Fabric : Nylon/Spandex. FlexTek Mesh Pocket Leggings: The FlexTek Smooth collection features innovative fabric with moisture-wicking technology and just the right amount of compression with chafe-resistant, flatlock seams. Every style is designed just for dancers and provides uncompromised flexibility. FlexTek Smooth cropped-length leggings with lined mesh panels at the hips and thighs and unlined mesh insets at the lower thigh. Mesh pockets at the sides can hold a phone. The wide waistband hits at the mid-waist. Imported.Fabric : Nylon/Spandex.New colors available! Now in Forest, Mulberry and Navy. FlexTek Contoured Leggings: The FlexTek Smooth collection features innovative fabric with moisture-wicking technology and just the right amount of compression with chafe-resistant, flatlock seams. Every style is designed just for dancers and provides uncompromised flexibility. FlexTek Smooth full-length leggings hit below the ankle bone. With contoured seams for a flattering fit and a low-rise waist. Imported. FlexTek Leggings With Lace: The FlexTek Smooth collection features innovative fabric with moisture-wicking technology and just the right amount of compression with chafe-resistant, flatlock seams. Every style is designed just for dancers and provides uncompromised flexibility. FlexTek Smooth ankle-length leggings hit at the ankle bone. With power mesh and geometric stretch lace insets along the calves. With a mid-rise waist. Imported.Fabric : Nylon/Spandex/Polyester. FlexTek Stirrup Leggings: The FlexTek Smooth collection features innovative fabric with moisture-wicking technology and just the right amount of compression with chafe-resistant, flatlock seams. Every style is designed just for dancers and provides uncompromised flexibility. FlexTek Smooth ankle-length leggings hit at the ankle bone with crisscross stirrups. The sides have a geometric stretch lace inset. With a mid-rise waist. Imported.Fabric : Nylon/Spandex. FlexTek Natural-Rise Leggings: The FlexTek Smooth collection features innovative fabric with moisture-wicking technology and just the right amount of compression with chafe-resistant, flatlock seams. Every style is designed just for dancers and provides uncompromised flexibility. FlexTek Smooth natural-rise waist leggings feature a wide, stay-put waistband and chafe-resistant flatlock seams. Imported.Fabric : Nylon/Spandex. FlexTek Shimmer Leggings: The FlexTek Smooth collection features innovative fabric with moisture-wicking technology and just the right amount of compression with chafe-resistant, flatlock seams. Every style is designed just for dancers and provides uncompromised flexibility.These ankle-length leggings feature shimmer spandex panels at the waist and along the lower leg. With a mid-rise fit and a wide waistband. Imported.Fabric : Nylon/Spandex. Ivy Sky Performance Crystal Mesh Detail Leggings: Ankle-length matte nylon/spandex leggings with power mesh insets down the sides of each leg. The insets are highlighted with crystals from Swarovski for brilliant sparkle on-stage. Swarovski crystals have 4x more facets and 2.5x the brilliance of acrylic rhinestones. The wide waistband hits at the natural waist. Imported.Fabric : Matte Nylon/Spandex.Crystals are size ss20 and are Crystal-colored crystals. Child sizes have an average of 183 crystals; adult sizes have an average of 210 crystals. See You Monday Rainbow Daisy Print Leggings: These leggings are not for wallflowers! Bright, rainbow daisies stand out on these fun black leggings. Made in USA.Fabric : Polyester/Spandex.